A Very English Scandal (2018) : Série TV de 1 saisons et 4 épisodes diffusée sur . Casting, acteurs, bandes annonces et actualités. À la fin des années 1960, alors que l'homosexualité vient juste d'être décriminalisée, Jeremy Thorpe, le chef du parti libéral, a un secret qu'il cherche désespérément à cacher. Casting de la série "A Very English Scandal"
S01E02 Episode 2 27/05/2018 As Jeremy gets one step closer to becoming prime minister, Norman demands that old promises should be honoured. With the old affair with Norman threatening to derail his political career, will Jeremy stop at nothing to silence him? S01E03 Episode 3 03/06/2018 Having survived a bungled attempt on his life, Norman accuses Jeremy of being behind the murder attempt - and goes public. S00E01 The Jeremy Thorpe Scandal 03/06/2018 In 1979, Panorama reporter Tom Mangold led an investigation into the trial of Jeremy Thorpe and others for the alleged conspiracy to kill Thorpe's former lover, Norman Scott. Convinced that the former Liberal Party leader would be found guilty, a special post-trial programme was prepared. This was scrapped, however, when the jury returned its verdicts of not guilty for all defendants, and the programme has remained unseen for almost 40 years. Edited and updated with new information about a fresh 2017 police inquiry into the case, Tom Mangold finally presents his story about how powerful political forces tried to protect Thorpe. The programme features revealing interviews from 1979 with Norman Scott, chief prosecution witness Peter Bessell and the alleged hitman Andrew 'Gino' Newton. 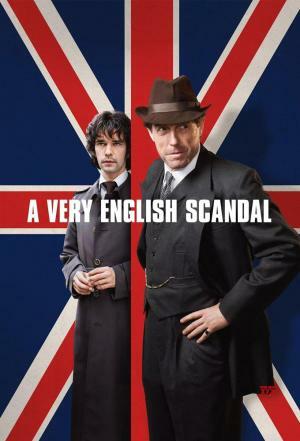 Envie de parler de A Very English Scandal ? Les discussions sont là pour vous. Retrouvez toutes les informations sur A Very English Scandal lancée en 2018 : synopsys, casting complet, acteurs, scénariste, réalisateur. Découvrez des séries similaires à regarder également. Faites vous une idée de la série grâce à la note des membres et aux critiques des internautes.